signManager offers unparalleled usability on a reliable and technologically advanced software platform. 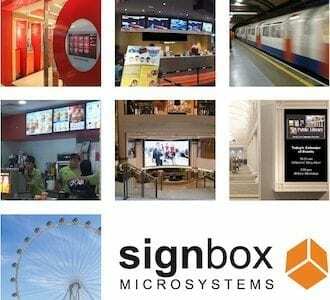 signManager is the primary controller of a Signbox digital signage network. Content is uploaded and updated via the signManager and then dispersed through the digital signage network. Error and marketing reports are fed back from the signPlayers to signManager to provide real time updates to the user. signManager is one of the few systems that is infinitely scalable. There is no limit on the maximum (or minimum) number of screens. 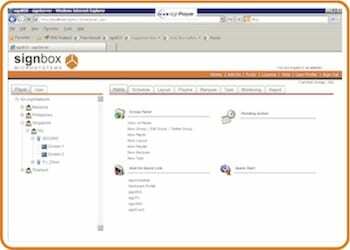 Users can setup unlimited numbers of groups and sub groupings to allow for efficient content updates. 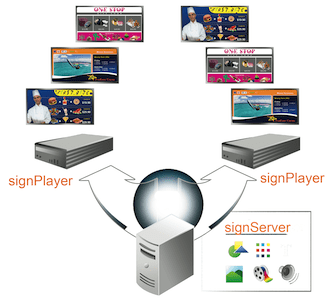 Since signManager is web based, a digital signage network can be controlled from anywhere in the world as long as the user has access to a web browser and internet connection. It even allows the user to perform a screen capture to confirm that the system is working as intended. signManager can be installed on a local server, or alternatively it can be accessed via our hosted server, signBox.tv – allowing the Signbox software to be used as a PAYG service (SaaS). The functionality of signManager can be extended by adding one or more of the signModules. The modules offer a range of extended functionality and security. 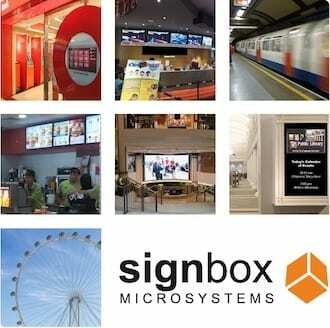 signManager requires only a PC workstation running any version Microsoft Windows, Apple Mac or Linux and a web browser. 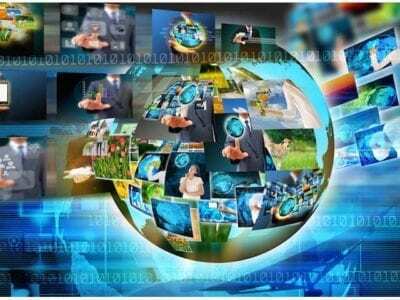 Supported browsers include: Internet Explorer, Firefox, Chrome, Safari and Opera.